This week on The Bugcast: A wanderer returns, a posthumous number one album, and 8 amazing tracks of Creative Commons music from The Spin Wires, The DŁX, Lenny Wiles Lionstar, Sweet Play, Wordsmith, Manhat10, Dean Deanore, and Modern Pitch. 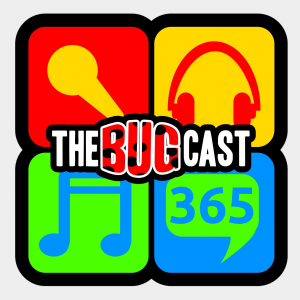 This week on The Bugcast: We’re a day late, defensive, saddened, and knackered, but we still play our usual mix of 8 great tracks of independent and Creative Commons music from Talking Machine, Potta, Heroes, Zoya, Rambling Era, Emerald Park, signal2sinfonia, and Manhat10. This week on The Bugcast: we discuss the UK political spectrum, the loss of yet another musical legend, and play our usual mix of 8 great tracks of independent and Creative Commons music from Homoanimal, Manhat10, Patsy Whyte, Amanda Lamb, Torelli And The Fuse, Anitek, Danie Nel, and Light Over There.